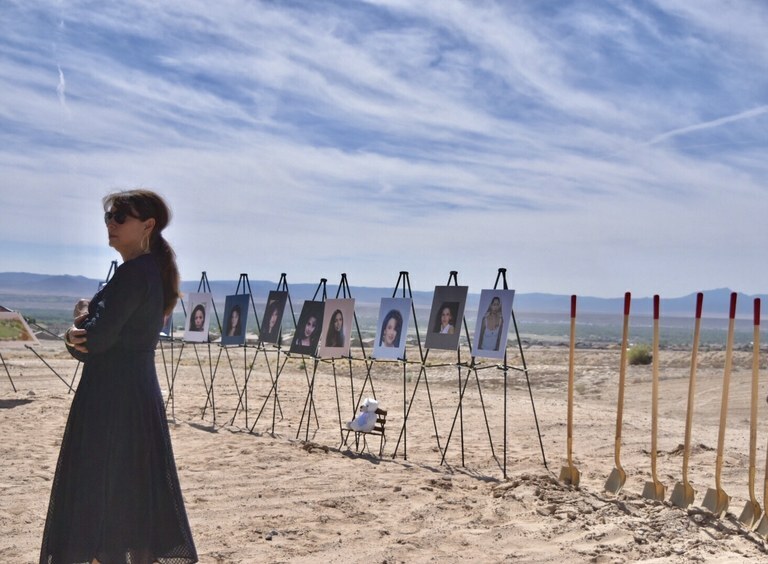 I am saddened at the discovery of what appears to be more human remains at a new park being constructed near the site of the Memorial for the eleven women and unborn child found buried on the West Mesa. I am saddened at the tragic loss of human life, and at the thought that yet another family has had to endure years of uncertainty and pain not knowing where their loved one was. And I’m saddened that such a heinous crime in our own backyard could have remained undiscovered for so long. As soon as I heard about the discovery, my office immediately notified the families of the victims. I know that the press may have questions for them, and I would request that the press treat the families with sensitivity and respect, as today’s events will surely bring back some very painful memories for them. At the same time, I’m hopeful that this discovery will finally bring closure to the loved ones of the victim. And I’m also hopeful that this discovery will provide new evidence or additional clues as to the perpetrator or perpetrators of these crimes. I can’t help but feel that there was more than just coincidence involved here, in that the construction of the Anderson Heights Park, which was critical to the construction of the West Side memorial, was the instrument to help reveal yet another victim. It’s my heart’s greatest desire that these crimes be quickly resolved so that the perpetrator(s) can be brought to justice and so that our community can heal.